Probably the best 18" bandsaw ever buiu! I'm planning to harvest some red oak trees this spring, saw them up myself, and store the lumber in my basement. But I've heard that you shouldn't cut trees for lumber once the sap has risen in early spring. Is this true? OLikc most hardwoods, oak should be cut in the fall or winter when the sap is down. It will save you an immense amount of drying time, and it will also decrease the risk of fungal attacks that can discolor the wood. Oak is one of the most difficult woods to dry, whether air- or kiln-dried. It needs to dry very slowly, with good ventilation. For best results, stickcr the lumber carefully. To help prevent chccking and warping, it's best to sticker the lumber outdoors for a while. Find a flat place and lay down a sheet of 6-mil polyethylene. Put down a row of 4x4s 18 in. apart. Then put down your first layer of lumber. (All your lumber will run pcr-pcndicular to the 4x4s.) Between cach layer of lumber, place Vif-in-thick lath strips at the exact same intervals as the 4x4s—no farther apart. To prevent sagging and warping, each lath strip should fall in a vertical line with the strip in the layer below it. Also leave about V^ in. of air space between the edges and ends of the boards, so air can circulate freely. Put corrugated rcxjfing on top of the pile to deflect rain and snow, and weight it down so it can't blow away. Keep tabs on the lumber's moisture content (MC) with a moisture meter. (See AW #34.) When the wood reaches 15% to 20% MC, move it indoors to an area that's about as dry or humid as the place where your furniture will be. Sticker it and let it dry until it rcachcs 8% MC. The entire air-drying proccss takes about a year per inch of thickness. ©In "Just Finishing," AW #60, MichacI Drcsdncr says shcllac is "compatible with almost all finishes." So why do most finishes I buy say not to apply them over shellac? OWhat finish manufacturers fear is not shcllac, but the wax it can contain. Finish won't adhere well to wax. Wax occurs naturally in shellac, but it is often removed in refinement. To be safe, buy dc-waxcd shellac flakes and mix your own finish from them. I add one quart of denatured alcohol to 8 ounces of dewaxed flakes. 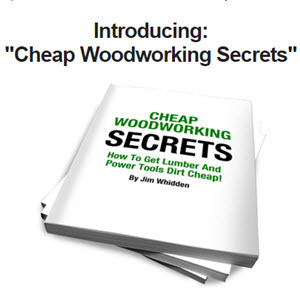 BUILD YOUR OWN POWER TOOLS & SAVE! Gil-Bilt kits include step-by-step plans, fiill scale patterns, and all the necessary metal parts and components (except wood parts and the motor). Made in America with pride by Gilliom Manufacturing, Inc. since 1946.